I was recently watching a show about food mashups, and on the show one of the featured mashups was a Wonut - a cross between a donut and waffle. Immediately after the show I started to look up donut waffle recipes. I found several, but ended up adapting this recipe from Deliciously Yum. 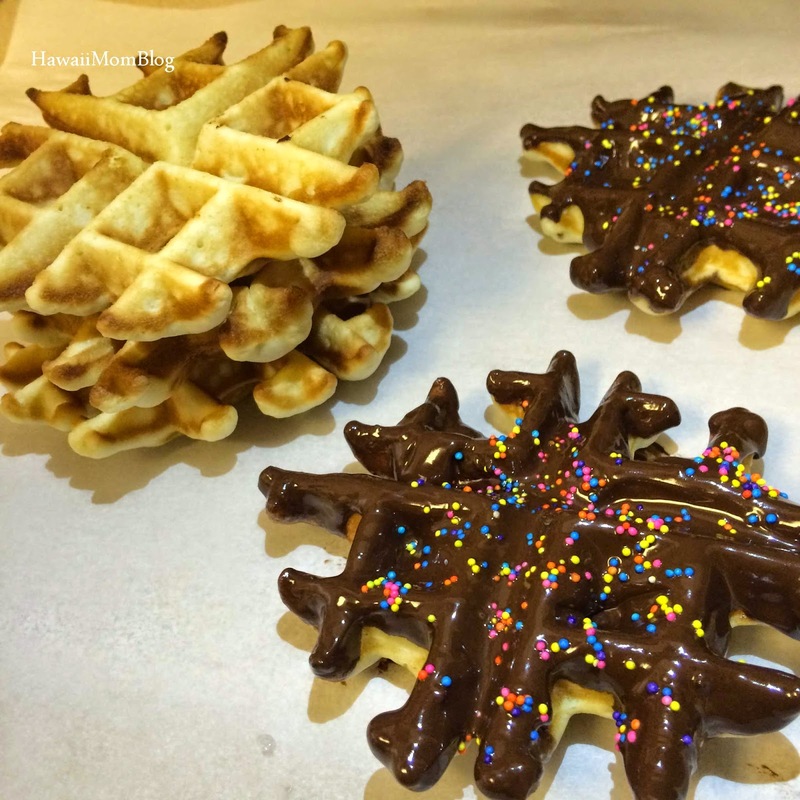 The donut waffles were really yummy as is, and with the chocolate and sprinkles they were even yummier! I made several donut waffles - decorated a few and froze the rest for the next time the urge to eat something sweet and indulgent hits. In a medium bowl, combine 2 cups flour, the baking powder, and the salt. In a separate medium bowl, mix together the sugar, eggs, and oil. Stir in eggs and milk. Add dry mixture and stir to combine (if batter is too thin, add 1/2 c flour). Pour 1/4 c batter into waffle maker and cook according to waffle maker instructions (I have a Procter Silex Belgian Waffle Maker and it took about 6-8 minutes for the waffle to turn golden brown). Eat as is or dip in chocolate (I used 1 c chocolate chips + 2 T flavorless coconut oil heated on high for 1 minute) and cover in sprinkles.